Boscia Luminizing Black Mask Reviews: Can You Trust This Product? Boscia Luminizing Black Mask Review: Is It Really Effective? 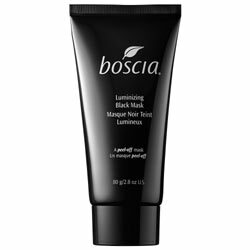 Boscia Luminizing Black Mask is a cleansing peel-off face mask designed to remove dirt and impurities from pores, minimize pore size, and absorb oil to rejuvenate and clarify the skin. Boscia, founded in 2002, creates Japanese skincare products that are free of preservatives. 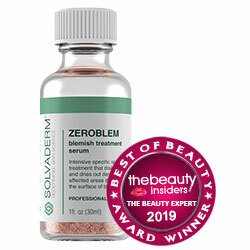 This product can be purchased for $34 on the manufacturer’s site and through retailers like Sephora. Boscia provides a 30-day money-back gaurantee on all products. Calcium Montmorillonite Clay: This super high-quality clay found in the French town that is its namesake contains 67 different minerals and works to absorb excess oil and toxins while exfoliating away dead cells and dirt to reduce pore size. Vitamin C: This vitamin brightens the complexion, fights against free radicals, and helps minimize the appearance of fine lines. Maritime Pine Bark Extract: This plant restores skin’s elasticity and hydrates for a smooth appearance. Rosemary Leaf Extract: This herb acts as an anti-inflammatory and reduces pore visibility. Eucalyptus Extract: This plant soothes skin, kills bacteria, and reduces inflammation. Jojoba Leaf: This moisturizing plant fights free radicals. Willowherb: This plant reduces redness and irritation. Boscia Luminizing Black Mask should be applied in a thick, even layer to clean skin—avoiding eyes, eyebrows, and lips—for 30 minutes or until dry. Peel off the mask from the outer edges first, then rinse off residue and moisturize. Boscia Luminizing Black Mask is designed to adhere to your skin perfectly and peel off gently to remove impurities and retexture your skin for a soft, glowing look. It contains many well-known plant extracts that minimize fine lines, absorb oil, reduce pores, and even combat the irritation and redness that can be caused by peeling off the mask itself. However, while many of the ingredients are proven in their own rights, no documentation supporting the company’s claims about this particular formulation is readily supplied. The company also does not provide the amounts of the ingredients, so the strength and effectiveness of its formulation is not entirely clear. Boscia provides a 30-day money-back guarantee, but it does not cover shipping costs. There are many peel-off face masks available on the market, so please consider all options before making a purchase.